The following is a guest post about saving a little more every month. If interested in submitting a guest post please read my guest post policy and then contact me. Many small expenses can come together and drain away your income each month. These expenses sometimes go unnoticed because they seem insignificant when viewed individually. However, any fee, no matter the size, grows exponentially when it occurs again and again. In an effort to help you take control of how much you spend and work toward saving more money every month, take a look at these six tips. Automating your bill payments is one of the easiest ways to stay on top of your monthly bills. By setting up your payments automatically, you’ll never have to worry about overdue bills again. What’s more, setting up automatic payments means you never have the chance to see the money that is being allocated to paying off bills, which means you never have the temptation to use it. Setting your account up for automatic bill payments is easy, yet a large majority of Americans are hesitant. If you use a credit card and don’t pay down the balance completely each month, then you are actually paying more than what is necessary. This is because all of your charges are accruing interest each month. An easy way to save money is by starting to use cash or debit cards for purchases instead of credit cards. See, unlike credit cards, cash and debit cards have no interest fees. Using cash also makes staying within a budget a whole lot easier. If you are dealing with high insurance premiums on multiple policies every month, then bundling those policies could help you save. Bundling involves using a single insurance company for all of your policies. Many insurers today can easily handle your car, homeowner and life insurance. These companies usually provide a discount on premiums when you bundle all of these policies together. Monthly services are items like cell phones, cable television or subscriptions to entertainment sites. Cutting back on these services can save you more immediately every month. Reducing the number of cell phone minutes, cancelling premium cable channels and trimming back on certain subscriptions can lower bills and give you a bit more cushion with your income. Driving a car comes with many expenses: Having to pay for gas every week, taking your car in for regular tune-ups, and having to pay for unexpected repairs can easily take a toll on your finances. If you can find ways to drive less every week, many of these expenses will be reduced dramatically. Driving less could mean taking public transportation or car-pooling. You could also try to visit stores that are closer to home in order to save gas. The cost of buying coffee and lunch while at work can start to add up quickly over the course of a week, a month or even a year. An easy way to save money is to cut back on eating out and pack a lunch every day. Though it may not seem like it at first, cutting back on restaurants and not buying expensive cups of coffee can make a real difference every month. For a look at just how much that morning/afternoon/midday coffee and snack is actually costing you, take a look at this breakdown from CreditGuard. 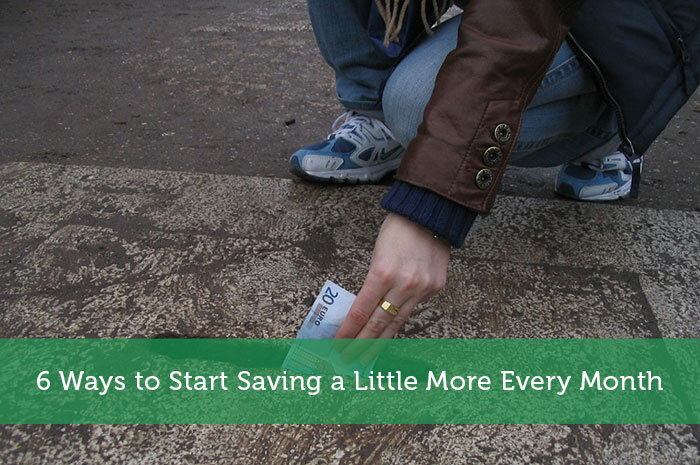 By starting small and working your way up, you’ll be able to save a bit more each month. Love these tips! I do the last three pretty well! These days there are so many other options other than cable. We axed it when the Lakers were doing horribly last year and that was the only thing we were watching from cable. That’s $80 a month. We bought an antennae ($10), Roku ($100), and then subscribe to Netflix ($15 a month) and we haven’t missed cable at all. Love these tips. Don’t forget to save your loose change. Pennies become dollars!! In addition to packing food from home, it’s also a good idea to cook food from scratch. Everything tastes better when it’s homemade. I know it’s simple: Bring a lunch with you. But dang can it be hard with busy work days. Haha. I’m already bringing my lunches to work. It saves me over £200 per month so glad I made the switch. That’s a wonderful blog post. I’ve been trying to save money for quite sometime but the progress has been slow. I’ll try a couple of points mentioned here such as using cash more often than credit cards, using automatic payoff, and bring lunch from home rather than getting it from the fast food corner. In fact, for the last two months I’ve curtailed on my restaurant expenses a lot. Earlier I used to dine outside every week. Now, I’ve cu it down to just once in a month. In fact, it is saving me a lot of my income. I’ll try the tips given here to save some more. Great info! Bringing lunch and coffee to work alone saves me around $10 to $15 a day and not only that, it forces me to eat healthier since I’m not going out to some fast food joint. I also eat out less in general and use it as a treat only once or twice a week. Great article. Reviewing services should be something everyone does at least once a year – phones – TV, insurance and utilities can be budget killers – or potential budget savers if you don’t act.